Want it by Saturday 27th April? Order within 22 hours, 58 minutes and choose Royal Mail Tracked 24 Hour at checkout. Every charm tells a story. From cherished memories shared with friends and family to once-in-a-lifetime occasions you wish to acknowledge, each charm on your bracelet tells the story of landmark events and personal milestones in a beautiful and unique way. Charm bracelets rose in popularity amongst the European noble classes during the period in which our heritage starts, when Queen Victoria became instrumental in their revival. This pretty and sentimental charm captures the message of love and friendship, and caring for someone in the most distinctive way. A contemporary heirloom gift to mark precious moments in your lifetime, the Clogau milestones bead charm, incorporating the iconic Tree of Lifeandreg; filigree leaf and set with vibrant peridot - the birthstone for August. 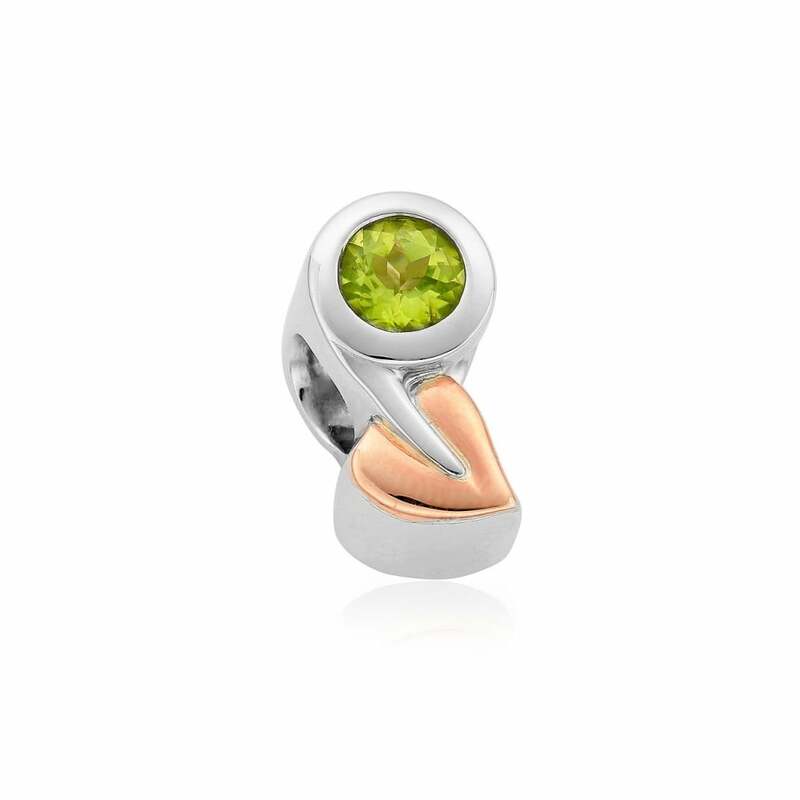 The precious charm is the perfect birthday gift and contains rare Welsh gold.